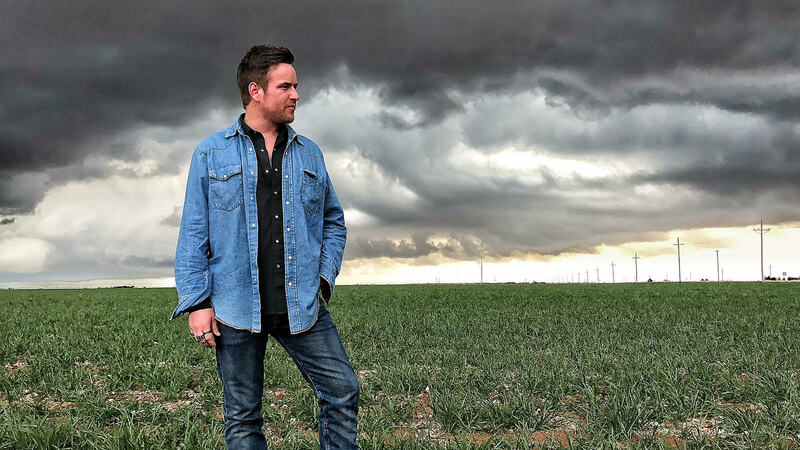 There’s a perfectly natural reason as to why Dalton Domino’s debut LP, 1806, carries a varied and skillfully unpredictable quality to it. Domino is filled with the wandering spirit of a storyteller that’s never content with simply drawing from the tales of others. Over his life, he’s lived in a number of places, some of them such as Frisco, Texas and Las Vegas, Nevada, might as well be on different planets for all of the contrasts a perceptive fellow like Domino can tune into. Though he’s also lived in Alabama and Mississippi, a couple of states with a rich musical heritage to rival most states, Domino says Lubbock, Texas, no matter where else has laid his head or worked a job, has been, and always will be home. Another key driving factor to Domino’s ability to expertly proffer a number of styles that still feel cohesive and thoughtful on 1806 is in the musical upbringing he enjoyed. Whether it was the hymnal singing from his Grandmother, or the 1950’s Sun Records his Grandfather would play, Domino soaked it all in – even the heavy metal his own step-father would often listen too. Indeed, Domino’s formative youth was somewhat unusual, and as a result, his musical choices of the past, might seem strange, given the powerfully grizzled way he can deliver a sage line of West Texas wisdom now. Whether it’s gothic western of “Howl,” the rocking roadhouse vibe of “Dallas,” the sawdust shuffling, rootsy ode to an inspirational women “Jesus and Handbags,” or the menacing, swampy, stomping “Killing Floor,” the tunes on 1806 fit well, and offer the listener a well-rounded, satisfying experience. For good measure, “All that Matters” is suited for country radio with its delicate electricity, declarations of a pleading lover, and Domino’s ability to simply tell a story we can all relate to, yet can’t express in the same way. Two key moments as Domino traveled the oft-difficult path from adolescence into his teenage years proved to be the foundation from which he would build his identity as a musician with something personal and unique to say. Even in Junior high, Domino recognized music was the way in which he could best express what his soul wrestled with. Shortly after Domino’s punk-tinted epiphany, his Grandfather passed away, and at the age of 14, Domino began to explore the depths of personally vulnerable songwriting in order to cope with the loss of the man that had raised him for the first 10 years of his life. Over the years, Domino has kept the fuel for creating original music from his own viewpoint burning on high. With musical heroes ranging from Lubbock legend Terry Allan, to Bright Eyes, to another young singer-songwriter with West Texas ties, Charlie Shafter, its clear Domino wants his music to hit the listener in both the gut and the mind, just as his favorite artists’ best tunes always manage to. Dominos tragic and triumphant travels through musical and geographical terrain have led to this moment where he’s a man with serious things to say, as music is the one true way he can fully express it all to us.